NEWS ALERT! 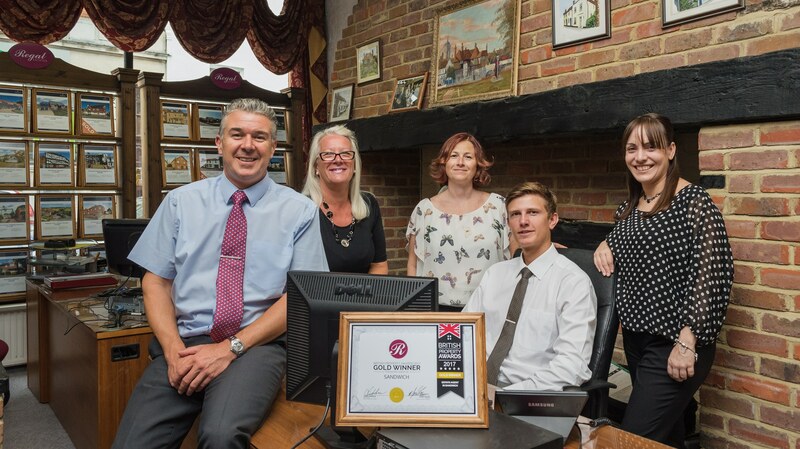 OUR SANDWICH OFFICE WINS 'GOLD' AT THE BRITISH PROPERTY AWARDS! Well done to our Sales Director, Roger Waring and team! Recently our Sandwich office had mystery shops conducted on behalf of the British Property Awards. The British Property Awards was created by a dedicated team of previous Estate Agency owners who believe that the industry is unfairly judged by some consumers, due to the shortcomings of some estate agents. A recent poll suggested that just 25% of consumers trust Estate Agents, making it the second least trusted profession. We passionately believe that agents who provide a fantastic service and go that extra mile for their clients, should be rewarded and highlighted for their endeavours. We independently assess estate agents against a set of 25 criteria, most of which is often overlooked by the clients and certainly overlooked before they decide to get in contract with an agent. We have taken a forceful step away from the traditional method of relying on feedback from successful sales as we believe this to be a very narrow and easily influenced viewpoint. We judge agents on a town by town basis, ensuring that only those agents who meet a certain standard are awarded by our team. Should all agents within a given town fail to meet this standard, no award will be provided by our team. We judge all agents who meet a minimum set of criteria over a number of months to ensure continuity and stability. Once we began researching for our awards, we were simply shocked by the polarity of the service provided by different agents, service levels also varied wildly dependent on the time of day and the time of the week. We take our jobs very seriously at The British Property Awards, our mission is to provide a useful award for the consumer on a local level, highlighting excellence within their town, an award that can be trusted and used as part of their decision making process.